Our skilled blacksmiths have the experience and talent to create exquisite, hand forged, iron designs. 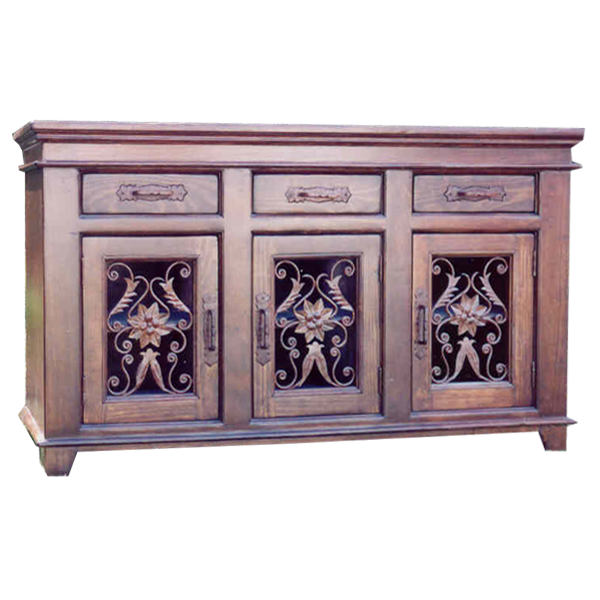 This magnificent, handcrafted, Spanish colonial style dresser has a large, open top, and it features three cabinet doors, and the face of each cabinet door is embellished with wonderful, hand forged iron, ornamental, floral designs. 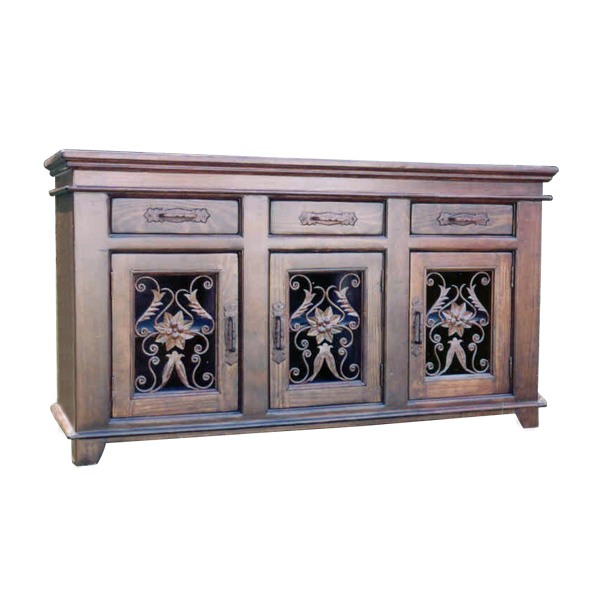 The side of each cabinet door has a hand forged, iron handle, and there is practical storage space inside the dresser. Directly above each cabinet door is a drawer, and each of the three drawers is adorned with a hand forged, iron handle in its center. The top and bottom rim of the dresser have classic, straight molding, and the dresser rest on slightly splayed, wood feet. Made with the best, sustainable, solid wood available, it is 100% customizable.